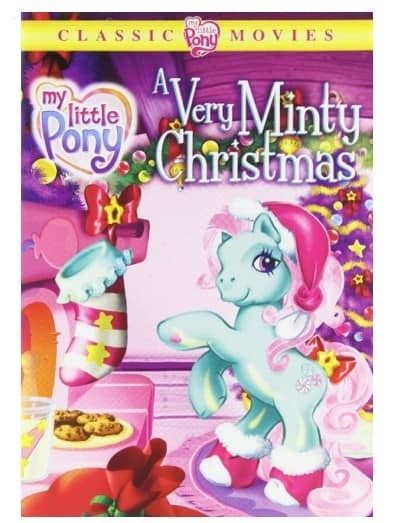 My Little Pony: A Very Minty Christmas is on sale for $5.99 at Amazon.com right now. That's 40% off the regular price of $9.99. The ‘Here Comes Christmas Candy Cane' is an important part of Ponyville: it’s the beacon that shows jolly old Santa Claus the way to the town as he makes his holiday rounds each year. But when Minty accidentally breaks it, uh-oh! It looks like Ponyville is destined to have a bleak holiday season. Minty is determined to do anything to save Christmas for her Pony friends while they, in turn, band together to try and cheer up their despondent four-legged friend. Together, they all discover that Christmas can come anyway, wrapped in the love of good friends and the oversized heart of one little clumsy, minty-green Pony!